We have a huge selection of antique jewelry inside our huge antiques mall. 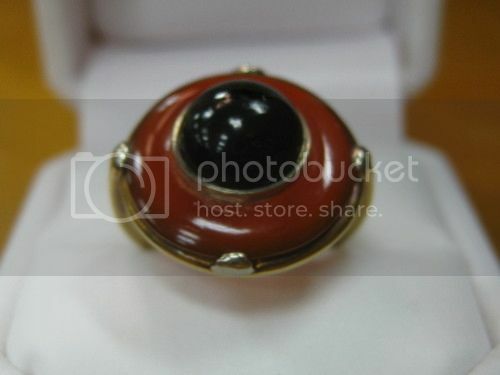 We also buy jewelry and appraise jewelry. 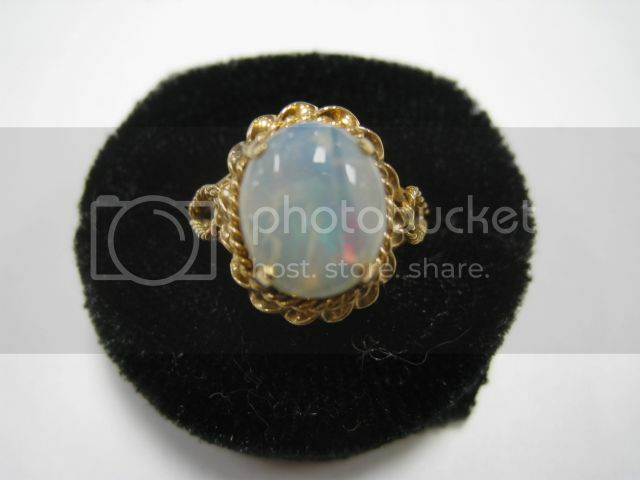 Vintage & Antique rings from our antiques mall. Three very different rings we just added to the selection of vintage and antique jewelry in our antiques mall. 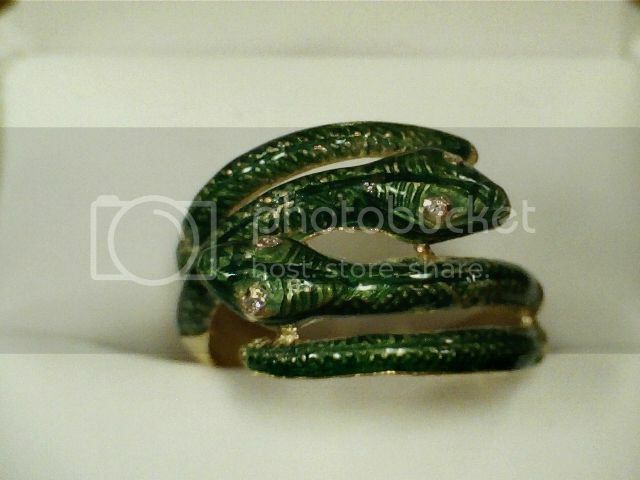 We also buy vintage and antique jewelry as well as offer free antique jewelry appraisals. Antique rings we just got in. These are just a few rings we just got in. We have a nice selection of vintage and antique jewelry displayed in our antiques mall. 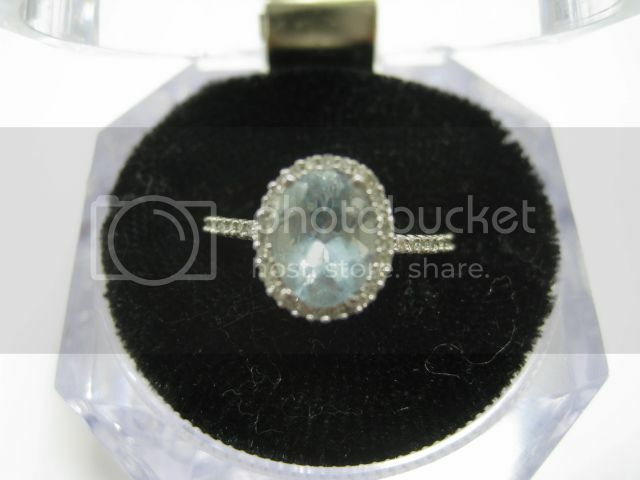 We also buy antique jewelry and offer free antique jewelry appraisals. Jewelry from our antiques mall! Click on the images for more details about these items! We have a huge selection of vintage & antique jewelry inside our antiques mall at Gannon's Antiques & Art. You will find many of our unique vendors displaying collections of antique rings, antique engagement rings, antique gold jewelry, antique silver jewelry, vintage jewelry, and more great pieces of jewelry. Come visit our antiques mall in person or contact us and let us help you find just the right piece of antique or vintage jewelry for you. Whatever your pleasure, you are very likely to find it at Gannon's Antiques and Art Center. We have many antique jewelry pieces ranging from vintage costume jewelry to fine antique jewelry. We sell genuine stones such as diamonds, rubies, sapphires and emeralds set in 10k, 14k gold, & 18k gold. We also have many rings, earrings and necklaces set with semi precious stones such as garnets, amethyst, jade, amber, topaz, aquamarines and so much more! Many of our fine designer jewelry pieces are signed by famous names including Tiffany, Cartier, & Van Cleef & Arpels. A lot of the antique and vintage costume jewelry is also designer labeled by well known names of the past like Trifari, Juliana, Coro, Miriam Haskel and others. For those of you that collect Native American Indian Jewelry we also buy and sell silver Navajo and Hopi rings, pendants, necklaces, bolos, belt buckles to name a few. Lots of vintage Mexican sterling silver jewelry is also available here. We are always seeking jewelry from Spratling, Los Castillo, Margo and their contemporaries. Right now we have a large collection of vintage sterling Georg Jensen jewelry including earrings, pins and bracelets. Come into Gannon's Antiques & Art and see the latest antique jewelry we have to offer you. We will be adding fine antique and vintage jewelry as they come into our antiques mall. 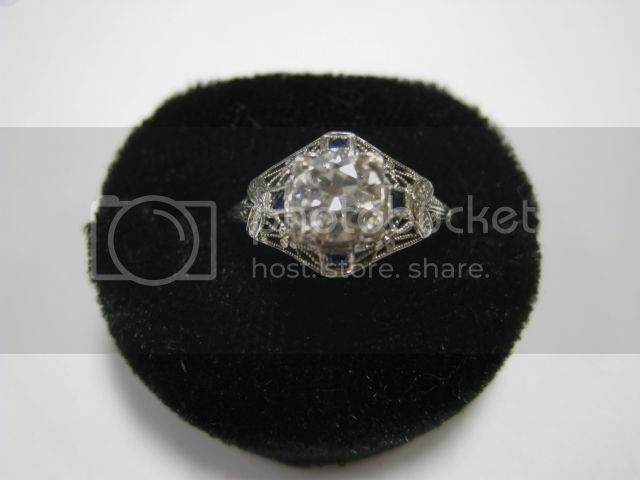 Keep checking with us to see our latest antique jewelry. As Southwest Florida's largest antiques mall we acquire great pieces on a very regular basis. 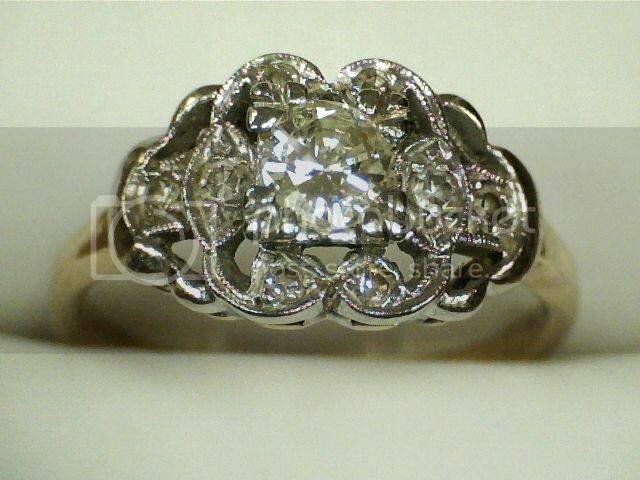 Vintage engagement rings from our antiques mall.